Not all compressors are worth their asking price. In today’s economy, everybody’s looking for products that will give them the most bang for their buck. 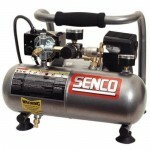 Air compressors are no exception. While a certain feature, horsepower rating, or even paint color may seem important, is it really worth the extra cost? Will you regret your purchase later? 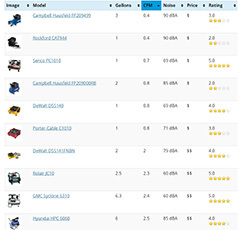 Listed here are three of the very best tools we found. 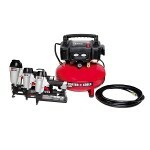 While technically a combo kit, this Porter-Cable set includes the well respected C2002 air compressor along with three HIGH QUALITY air tools (finish nailer, brad nailer, and stapler). Also included is an air hose, coupler, plug and hundreds of nails and staples. What makes this such a great value is that if you were to price out all the exact same items individually, you’d be looking at almost twice the price of this is combo set. Perfect for homeowners looking to get their first compressor or those who simply want the keep the air tools and resell the compressor on Craigslist if they already have a unit. You will not find a better value than the Porter-Cable PCFP12234. One of the best selling air compressors of all time, the MAC2400 by Makita is a powerful, well-built unit which is actually fairly quiet. While priced higher than the other two entries on this list, it produces much more airflow so you can pretty much throw any job around the house at it. We could put the MAC2400 up against models costing a couple hundred more and it would come out on top. Because it is oil-lubricated, it requires minimal maintenance but is one of a small few which can last you over a decade of use. 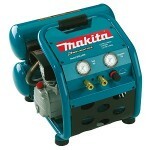 A fantastic value when you consider all things, the Makita MAC2400 would make for a great centerpiece in your garage. If you want a powerful compressor that will run 8 hours straight, look elsewhere. The Senco PC1010 is intended for small projects around the house and is one of the quietest. It’s incredibly light and portable and is popular with both men and women. Maintenance free and easy to use, the PC1010 is actually quite durable thanks to the cast iron pump which is uncommon for units at this low price point. While it’s limited by its CFM rating and you won’t want to use it when constant airflow is needed, it’s perfect for filling tires, inflating toys, crafts, hobbies, and small finishing work. The Senco PC1010 is really a great buy at its price.